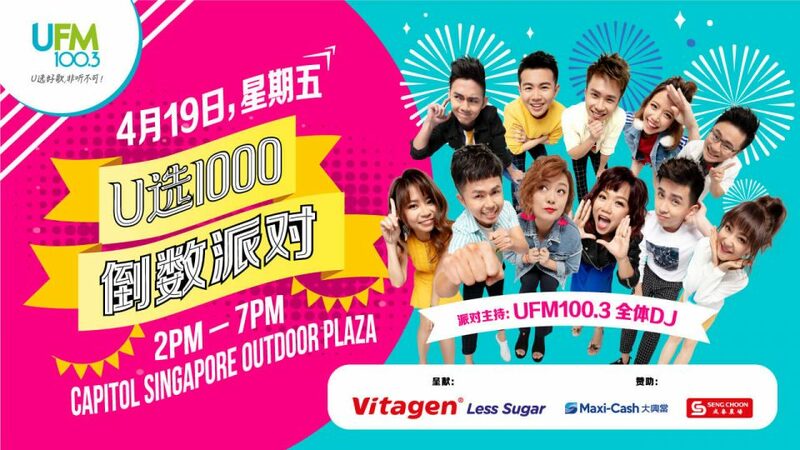 Join UFM100.3 this Friday (19 April) as the radio station reveals the #1 most voted Mandarin song of its music chart - U1000 Music Countdown! Join the on-site activities and stand to win attractive prizes! PS: This is a rain or shine event, keep dry and stay hydrated!